Lalu Yadav's daughter Misa Bharti has been fined Rs. 10,000 for skipping a summons and has been asked by Income Tax officials to appear for questioning next Monday. 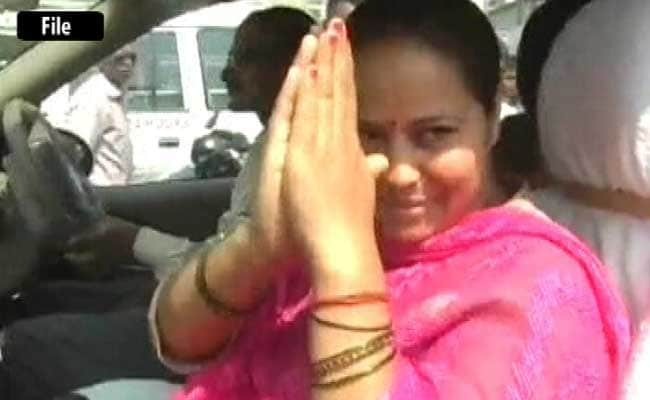 New Delhi: The Income Tax Department on Wednesday slapped a penalty notice of Rs 10,000 on Shailesh Kumar, husband of RJD lawmaker Misa Bharti, for non-compliance of summons in connection with its probe in the Rs 1,000 crore alleged benami land deals and tax evasion case. Mr Kumar has been issued fresh summons. He was supposed to appear before the investigating officer of the case on Wednesday, but officials said he failed to keep the date. Ms Bharti, daughter of RJD chief Lalu Prasad, too had not deposed before the IO yesterday in the same case. The IO issued a similar penalty notice, like that against Ms Bharti, to Mr Kumar as to why a penalty of Rs 10,000 be not slapped against him for non-compliance of summons under section 131 of the Income Tax Act, the officials said. Mr Kumar has now been asked to appear on June 13, a day after Ms Bharti has been summoned, they said. It was not immediately clear if Mr Kumar gave any reasons to the department for his non-appearance. The department wants to question the couple to take the probe further in this case, where the taxman had conducted multiple searches last month. A chartered accountant, Rajesh Kumar Agrawal, allegedly linked to Ms Bharti and others, was also arrested by the Enforcement Directorate (ED) on May 22. Agrawal is alleged to have aided in illegal transactions involving Lalu's kin. Officials have earlier said that the summons to Ms Bharti and Mr Kumar were part of the probe in the case and their statements will be recorded. The couple allegedly have links with a firm -- Ms Mishail Packers and Printers Private Limited-- which is suspected to have entered into benami deals for purchase of a farm house in Delhi's Bijwasan area. Certain other property deals were also under the scanner of the taxman, they had said. The department is expected to slap provisions of the newly-enacted Benami Transactions Act, 1988, which became operational from November 1 last year, in this case. The law provides for a maximum punishment of seven years in jail and a fine. Benami properties are those in which the real beneficiary is not the one in whose name the property has been purchased. Tax department officials had said Lalu's kin held some of the properties under their scanner in a 'benami' way. The RJD chief, however, had sought to put up a brave face after the raids, saying he was "not scared at all" and will continue to fight against "fascist forces". BJP does not have the courage to stifle my voice... If it tries to silence one Lalu, crores of Lalu will come forward. I am not scared of empty threats," he had said in a series of tweets after the search operation. The BJP had also accused Lalu, Ms Bharti and his two sons Tejashwi and Tej Pratap, both ministers in the Bihar government, of involvement in corrupt land deals worth over Rs 1,000 crore, and asked the central government to probe one such transaction in Delhi.